In every family, there are important joyous dates and feasts. The main holiday of the parish family of St. Seraphim Memorial Church dedicated to the Re-establishment of Unity in the Russian Church is their patronal feast. 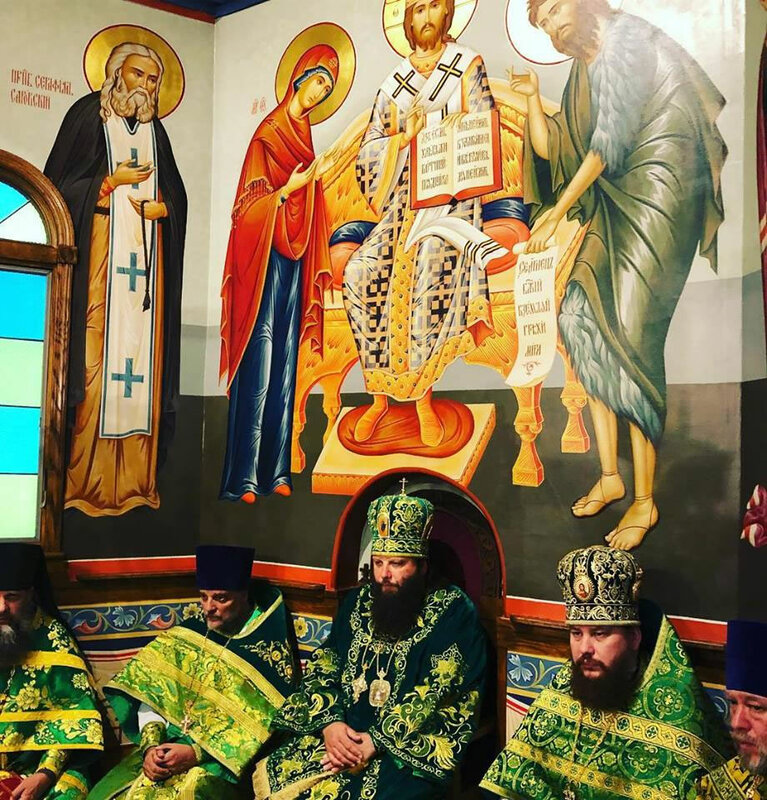 These are the days when the Holy Church honors the memory of Venerable Seraphim, Wonderworker of Sarov: January 15, the day of his repose and August 1, the day of the opening and glorification of his holy relics. 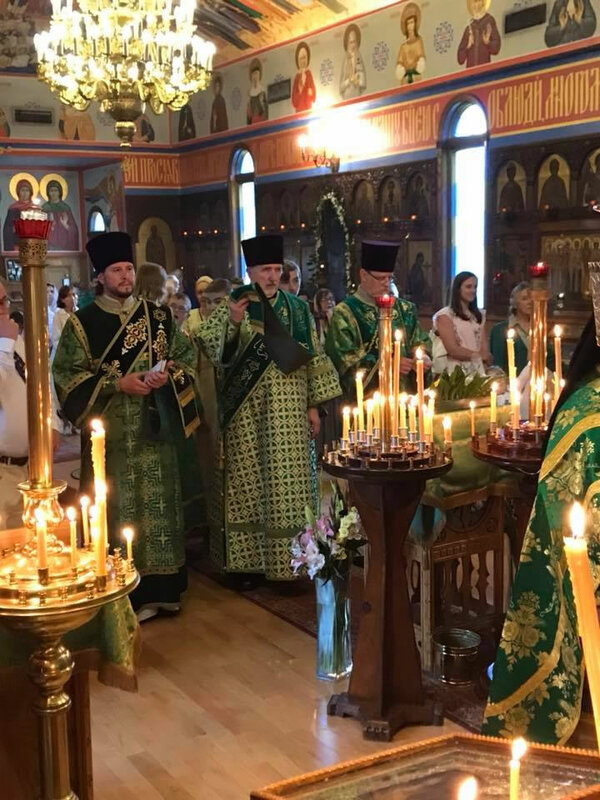 In our church, we also celebrate May 17 – the day of the Restoration of brotherly interaction within the Russian Orthodox Church. 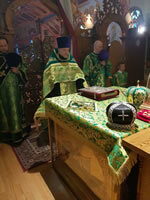 The altar table in an Orthodox church is a place of the mysterious presence of our Lord Jesus Christ. 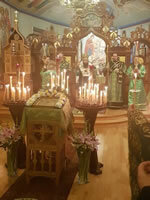 The liturgical life of the Church is filled with symbols, therefore the altar signifies not only the throne of God, but also the Upper Room, where the Mystical Supper was celebrated, and Golgotha, where the crucifixion took place, and the tomb where the Body of Christ was laid and where He arose from the dead. The very word "altar" has several meanings: throne, stretcher, and royal power. The altar of the church, or the Holy Altar, is a square table, fixed immovably in the middle of the altar and especially sanctified. 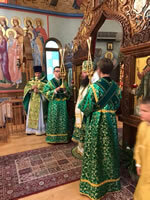 The distinctive features of the moment of consecration of the altar are: washing with holy water, then with red wine mixed with rose water, anointing with the holy chrism and adorned with vestments. 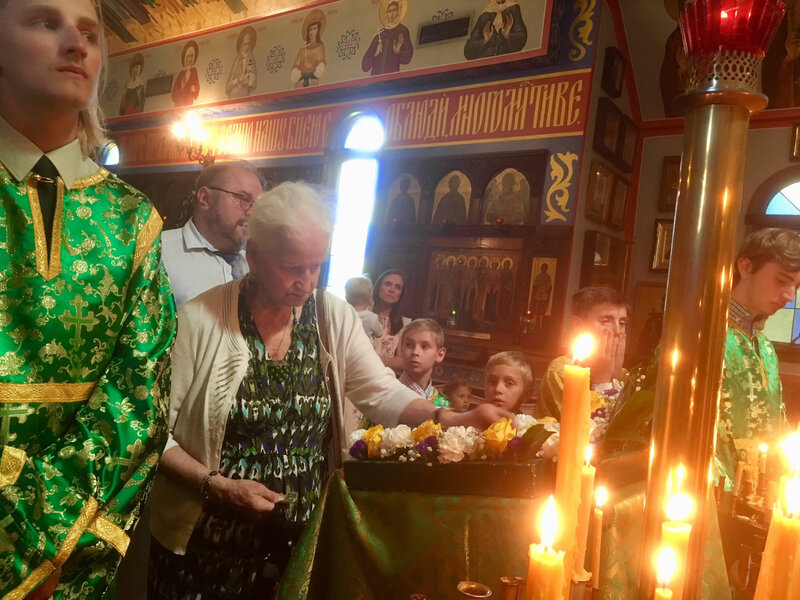 On the altar is placed an antimension – a special linen with the icon of the Savior lying in the grave and sewn with the holy relic of a holy martyr. The word "antimension" is of Greek origin, translated as "instead of the table." 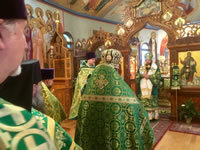 Due to the frequent persecutions Christians received in the First Century, believers could not erect churches with permanent altars. The antimension gave the opportunity to celebrate the Divine Liturgy in any suitable place. The relics sewn inside remind us of the times when Christians performed the Liturgy on the tombs of martyrs. 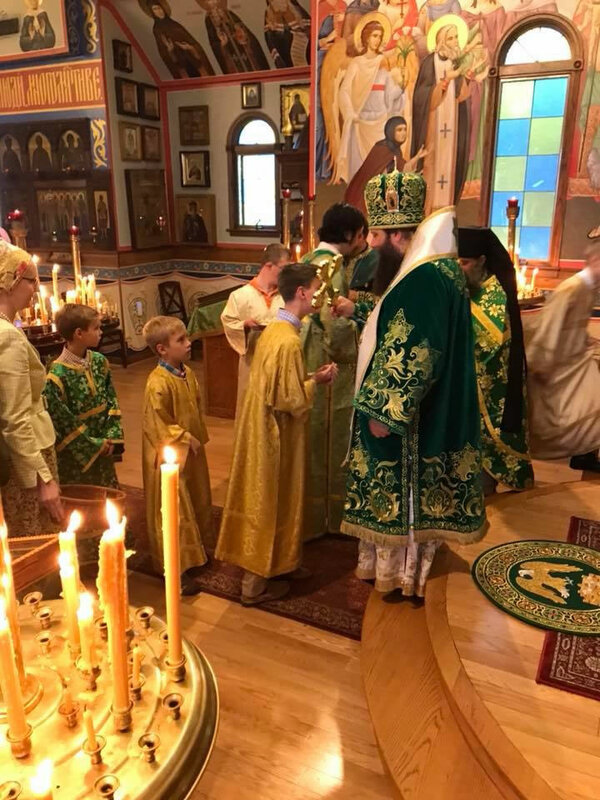 The antimension is signed by the ruling bishop for a certain church, which authorizes the community to celebrate the Divine Liturgy on it. 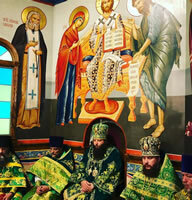 The antimension of our St. Seraphim Church were signed by the ever-memorable Metropolitan Laurus and Metropolitan Hilarion, containing relics of the Apostle Andrew the First-Called, the Venerable Martyr Grand Duchess Elizabeth Feodorovna, and the Hieromartyr Hilarion (Troitsky), Archbishop of Vereya, as well as the martyrs who suffered in the monastery of St. Sabbas the Sanctified. On August 1, the feast of St. Seraphim, many faithful gathered, despite it falling on a weekday. The church was filled with parishioners old and young. On the evening prior, the All-Night Vigil was held with the litia, the blessing of loaves, the magnification, and the congregation-wide singing of the Akathist to the venerable saint. 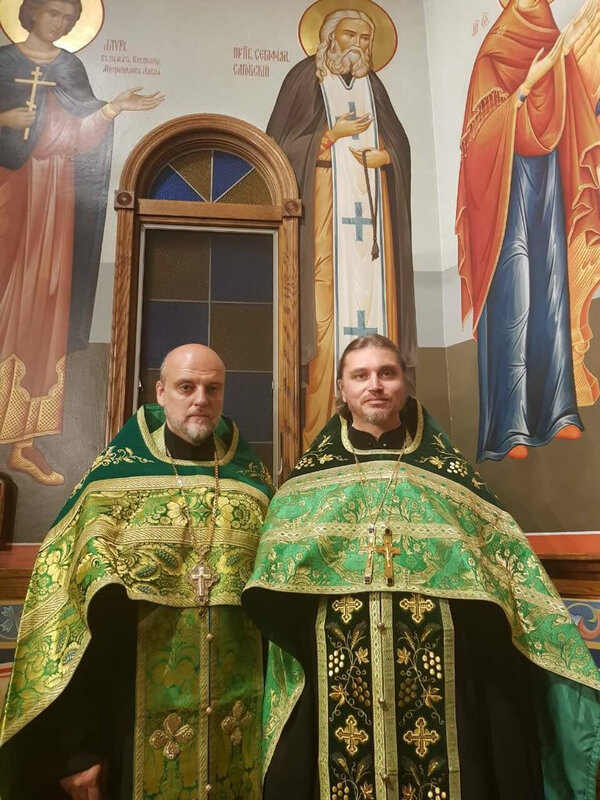 After the solemn evening service, parish rector Archpriest Serafim Gan invited all to a grand reception arranged by the efforts of his wife and his mother, and continued in a very friendly atmosphere. The divine services for the patronal feast day were led by Eastern American Diocesan vicar Bishop Nicholas of Manhattan, co-served by Archimandrites Seraphim (Rakovsky; rector of the Odessa Theological Seminary), Elevferiy (Skiba; dean of Inexhaustible Chalice Church in Brooklyn, NY), Fr. 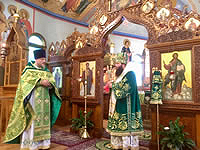 Serafim Gan, Archpriest Alexandre Antchoutine (rector of Holy Intercession Church in Glen Cove, NY), Hieromonk Anatoly (Zilin; cleric of Holy Trinity Monastery in Jordanville, NY), Priest Nikolaj Kostur (cleric of the Serbian Orthodox Church), and Protodeacons Nicolas Mokhoff (cleric of the Synodal Cathedral of the Sign in New York City), Pavel Wolkow, and Eugene Kallaur (parish clerics). 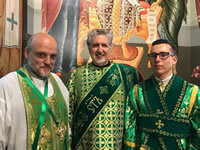 Singing at the divine services was the parish choir under the director of N. Miro. 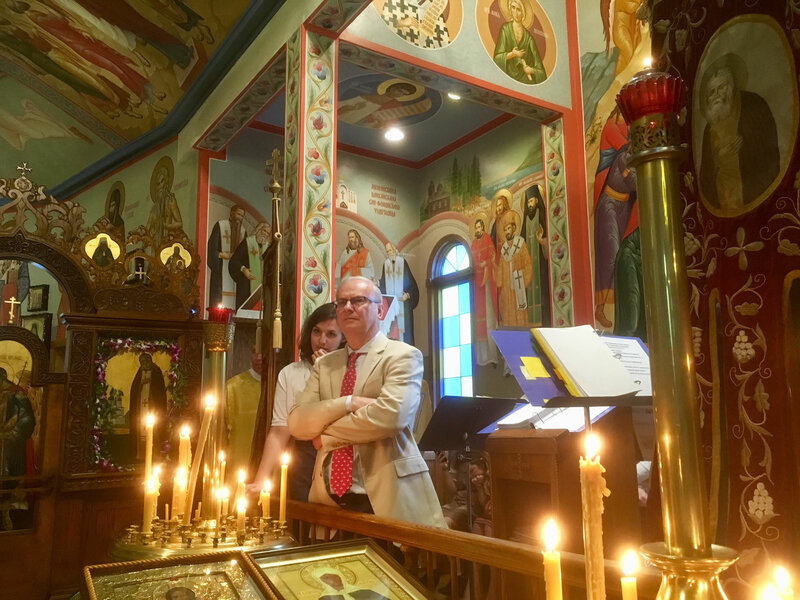 Praying in the altar was Protopresbyter Leonid Kishkovsky, chairman of the Department of External Church Relations of the Orthodox Church in America. 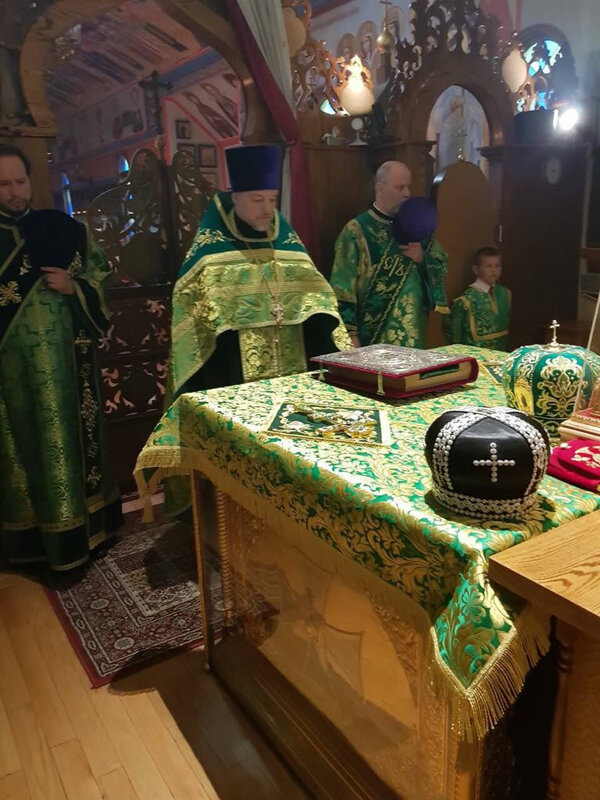 Placed in the center of the church was one of the many sacred items of the parish, a pre-revolutionary icon of St. Seraphim with a piece of his holy and venerated relics. 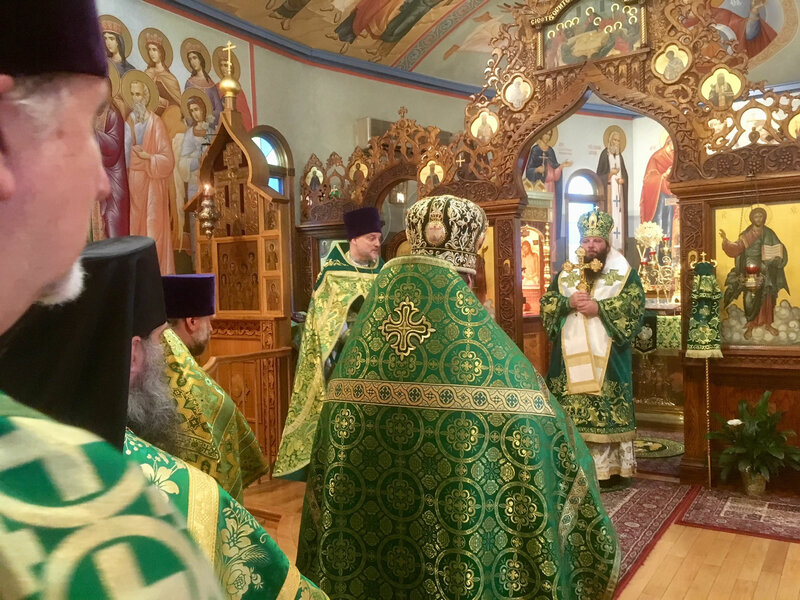 Bishop Nicholas delivered a sermon dedicated to the example that Venerable Seraphim serves for us, following the commandments of the Gospel, preserving a peaceful spirit always remaining in a joyous state in the Risen Lord. After the Polychronion, the parish rector greeted Bishop Nicholas on behalf of the clergy and parishioners of the parish. 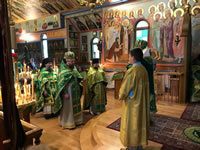 The feast concluded with a festal meal prepared by the parish sisterhood, led by E. M. Mikheeva.